The Bermudian triathlete has been outstanding on the international circuit, winning numerous international titles, including three world championships in one season: the ITU World Championship, the Xterra World Championship and the ITU Cross Triathlon World Championship. 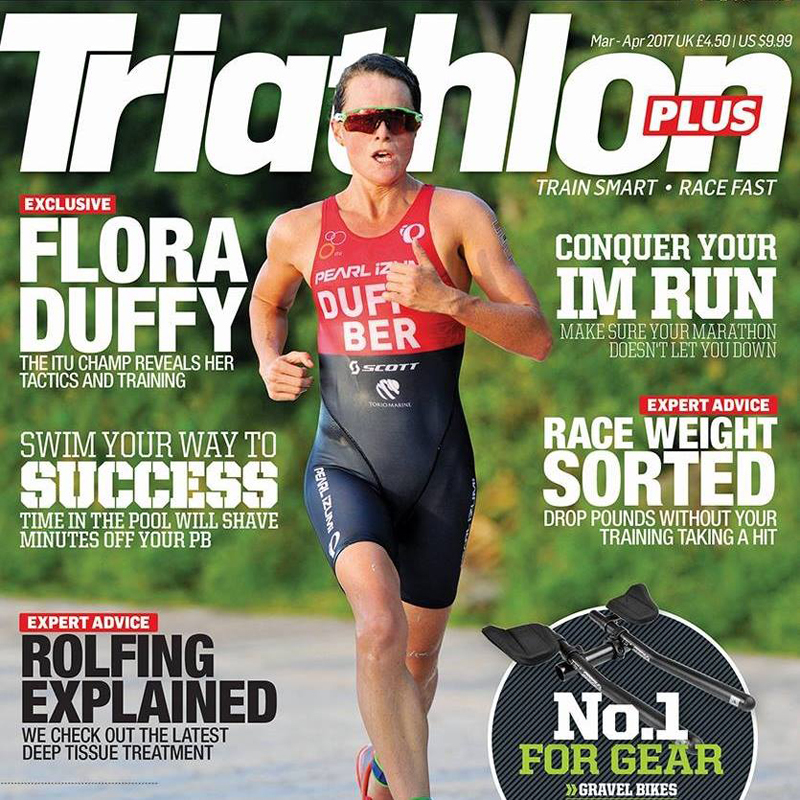 Locals will have the opportunity to watch our own world champion in action on home soil, as Bermuda is set to host three ITU World Triathlon Series events in 2018, 2019, and 2020, and Ms Duffy said it’s going to be “incredible” racing on the roads of Bermuda. I’ll say it again………. GO FLORA GO!!!! Again….. You’ve done Bermuda very proud!!!!! Congrats Flora – a cover that is well deserved. Good on you, Flora! That’s also great news about the World Triathalon Series coming to Bermy in 2018-20. And I am sure she helped get that series to come to Bermuda! We love you, Flora! So exciting to watch you perform!